Movers were very efficient and careful. They worked late at night but finished the move in one day. Thanks to every one at Thousand Oaks Movers. Great Job! Movers arrived on time, worked very hard. Did a good job protecting furniture and electronics. This was a smooth experience. I will make sure to recommend their services to any one looking for a moving company. The estimator was very accurate at guessing the time and cost of the move. The movers were polite and careful with our stuff. Guys took special care of our TVs, even helped us hook them up and hang them at our new residence. Nothing was damaged, and in promised amount of time. Special thanks to Steve at the office who overlooked the entire job and was in contact until the end. Long distance move. NY to CA. We had very little time to prepare for the move ourselves. The movers came out two days prior to scheduled move day and helped packing and disassembling furniture. The delivery was made in two weeks, which was OK as we were still looking for a new place. 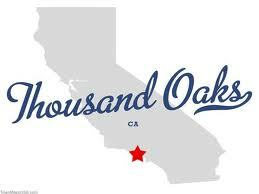 We stored our belongings at Thousand Oaks Movers warehouse for a few weeks. The delivery was made by a different crew and they were as careful and accommodating. Over all a 5 star experience. Movers moved me out of the 3rd floor - 6 flights of stairs for large items (had very small elevator). My couch had to be lowered off the balcony. The delivery was very easy as they were able to use a large cargo elevator. Everything was place exactly where I needed it. Job well done! Thousand Oaks Movers did an excellent job at dealing with a move while there were lots of things still unpacked. They were polite and understanding. Movers were careful with protecting our belongings, used blankets and other moving materials. Provided free use of huge clothes boxes. We could just hang our clothes inside and there was room on the bottom of those boxes to put miscellaneous stuff. This saved us a lot of time and money. My family was happy to be done with moving in just one day. Great Job! Long distance move. MA to CA. This was just my second move. After graduation and got a job out in California. I didn't have many things and a very small budget. Most companies charged by the size of the shipment. Thousand Oaks Movers were one of just two that charged by the weight of my shipment. They had a very reasonable rate. Office staff sounded very helpful and stayed in touch with me from the day I made reservation to the time I received my stuff. Movers were polite. The delivery was made in just under 4 weeks as movers explained they were picking up other shipments to fill up the trailer. Even though it took a little longer than I expected the price was with in my budget and my furniture arrived safe. If I ever need to move back east I will definitely call Thousand Oaks Movers. I was in a very bad relationship. I had to move out in the early afternoon while my boyfriend was at work. I had to keep this secret even from my friends. I couldn't do any packing myself. But movers were very quick and efficient. I couldn't get out of this situation by myself... So I am very thankful to everyone at Thousand Oaks Movers for being discreet, quick and at the same time careful. The movers were all business. As soon as movers arrived they immediately got to it. Wrapping furniture, getting things out of the house, stacking the truck. Guys barely spoke to each other, didn't take any breaks until the truck was loaded. They took a quick lunch on the way to our new residence. And again: the truck was parked, doors opened and was off loaded in the matter of minutes. Then foreman asked us "which rooms, what items go into", quickly marked items and brought furniture and boxes inside the house. They even asked if we needed help with unpacking. As the move took less then we anticipated, we decided to take them up on their offer. When the guys were done it looked like we have lived in this house for some time. Absolutely incredible job! I honestly don't know (may be the guys were in a hurry to get somewhere else :), but I have moved many times and I have never seen this type of professionalism. I want to mention their names: Francisco, Brian and Alex. 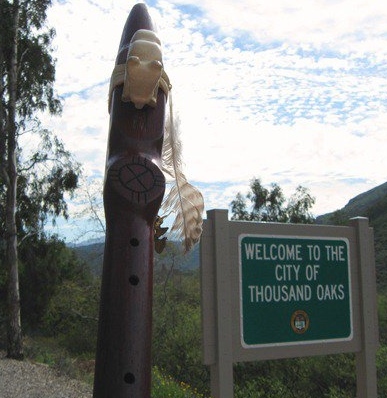 If you are looking for a mover just call Thousand Oaks Movers and be sure to ask for that crew. Thousand Oaks Movers were the only company that offered to send an estimator out to our house to give us the most accurate quote. The estimate was a bit higher than those of the ones we got online. But we were told that online quotes are not guaranteed. Because of traffic the move took just an hour longer. But the movers kept their promise and charged as was promised. Movers were professional and courteous. Good company, great employees.